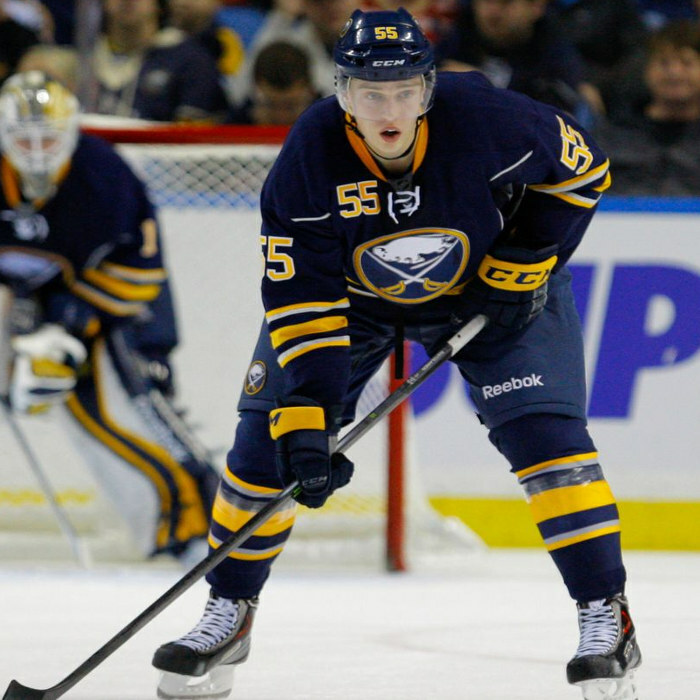 Rasmus Ristolainen (born 27 October 1994) is a Finnish professional ice hockey defenceman currently playing for the Buffalo Sabres of the National Hockey League (NHL). He was selected eighth overall by the Sabres at the 2013 NHL Entry Draft. Ristolainen made his NHL debut with the Buffalo Sabres on the opening night of the 2013–14 season, 2 October 2013, against the Detroit Red Wings. He scored his first career NHL goal later in the month, on 25 October against Jacob Markström of the Florida Panthers. On 5 January 2014, Ristolainen scored the overtime winner in the final of the 2014 World Junior Ice Hockey Championships against previously undefeated Sweden, giving Finland the gold medal. He scored his first NHL hat-trick on 10 December 2015 against the Calgary Flames. In so doing, he became the first Sabres' defenceman to score a hat-trick since Hockey Hall of Famer Phil Housley did so in the 1987–88 season.